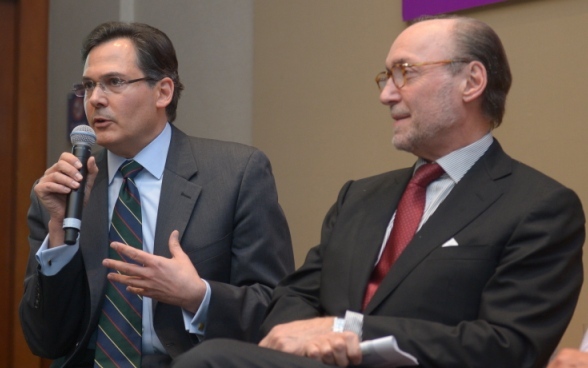 Presentations from recent RJC events are available below. For the second year, LBMA and RJC hostied a Responsible Gold Forum on responsible sourcing in Lima, Peru. The event took place at the Westin Lima Hotel and Convention Centre and was organised around the LBMA Precious Metals Conference. 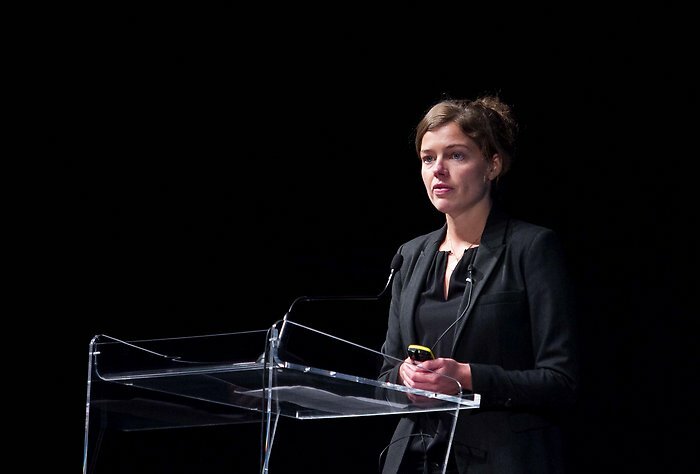 RJC’s Standards Coordinator, Marieke van der Mijn represented the RJC during the Forum. 12.00 – 1.00pm : Q&A and one-to-one follow-up. Key questions: Is there a business case yet for miners participating in due diligence and certification programs? What have been the challenges of encouraging uptake? What are the desired impacts, and what evidence do we have so far? Key questions: Audits of gold refiner due diligence now cover approximately 85-90% of the gold market. What are the challenges of being a responsible refiner and staying engaged with ‘high-risk’ areas? What are the limitations of refiner leverage with their suppliers? 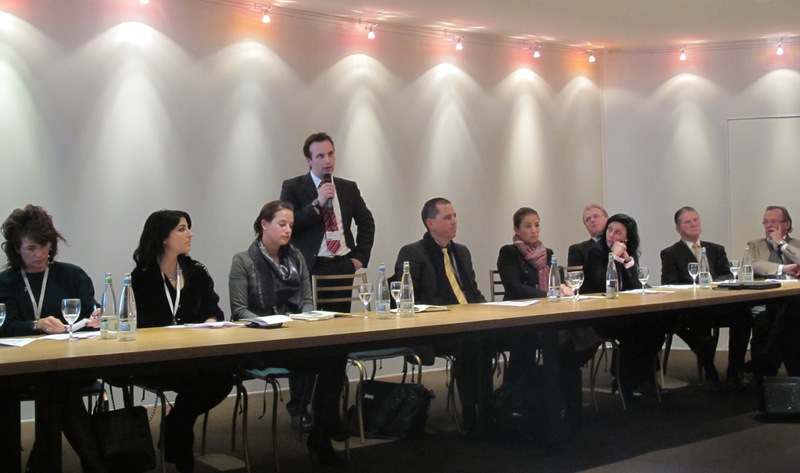 Key questions: What are the key drivers of downstream engagement with responsible sourcing? How significant is the role of regulation? To what extent are downstream markets and consumers engaged? The Management team was present at IJL from 31 August to 2 September. 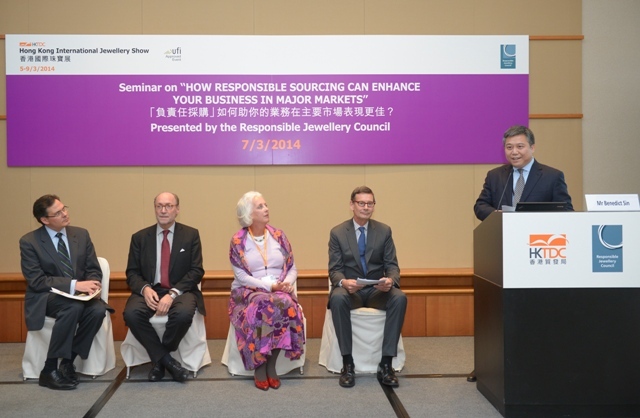 RJC also chaired a session on Responsible Sourcing on Tuesday 2 September in the Inspiration Theatre. The session was entitled “Responsible Sourcing: How the new RJC Code of Practices and key industry initiatives support a responsible supply chain” and conjured leading speakers spanning the jewellery supply chain from mine to retail, that spoke on current efforts and challenges in the jewellery supply chain. Please click here for a copy of the slides. Organised by the GJEPC and sponsored by Gemological Science International (GSI), RJC is proud to have been part of the four-day education series that hosted an impressive line-up of industry experts. Dr Fiona Solomon, RJC Director – Standards Development, presented on international legislation and due diligence frameworks being applied to the gold supply chain. 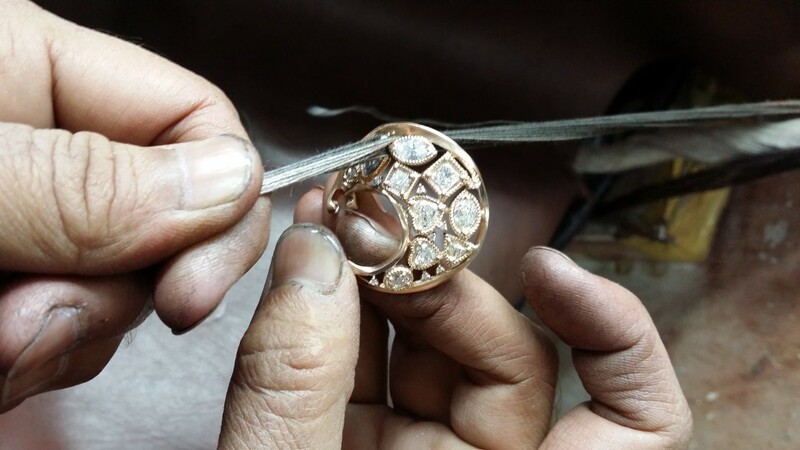 Gold jewellery suppliers in India that export to the US and European Union markets are increasingly affected by current and emerging regulations in the EU and the US Dodd Frank Act. The participants learnt how local manufacturers can proactively manage these issues and the range of international, industry and company programs in place that can help. Dr. Fiona Solomon, Director – Standards Development, discussed the potential of certification in the jewellery industry during the June Hong Kong Jewelry & Gem Fair, at the Convention & Exhibition Centre, Hong Kong. The Sustainable Pearls Forum focused on the characteristics of the developing a successful pearl industry, and was well attended by world leading pearl producers and pearl jewellery retailers. A panel of industry experts discused responsible sourcing and the latest activities in supply chain due diligence, provenance claims, and harmonisation across initiatives, conflict minerals and headline issues like synthetic diamonds. Mark Hanna, Chief Marketing Officer, Richline Group, Inc.
For a copy of the slides for the session please click here. 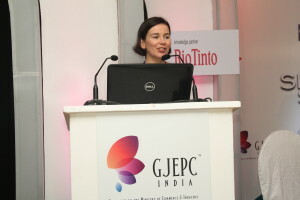 The session was open to all JCK attendees, exhibitors and trade press. For a copy of the slides please click here. The Responsible Jewellery Council (RJC) held an afternoon reception featuring presentations from two of its major member companies. The attendees learnt how responsible sourcing practices build customer loyalty, shareholder value and strengthen a business in domestic and export markets. The speakers discussed the impact the US and EU legislations on Hong Kong and Chinese exporters and how to ensure compliance. To download a copy of the slides please click here. RJC warmly invited Industry Representatives to an RJC India Outreach Seminar in February 2014. Two sessions were held in Mumbai and Surat. 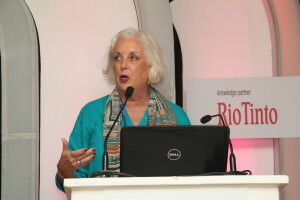 The aim of these seminars was to brief participants on RJC’s outreach plans, call for interest in a new RJC-India working group that will be a key liaison forum on market issues and activities, update on the RJC’s 2013 Code of Practices and harmonisation with parallel programs, and share experiences of RJC Certification. For a copy of the slides click here. For a summary of the key points in Gujarati click here. 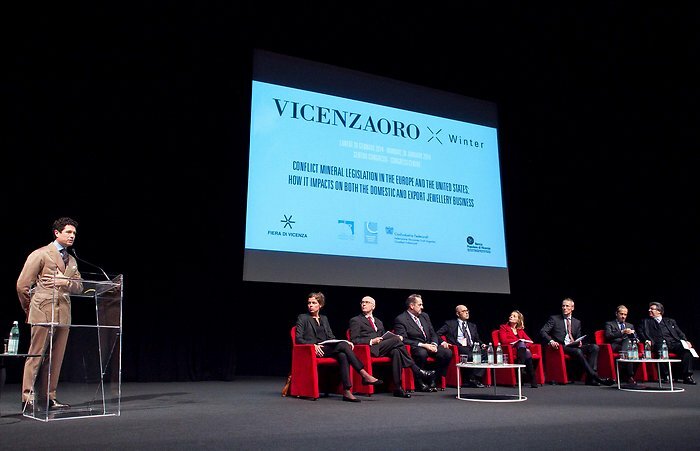 The seminar was organised by Fiera di Vicenza, the Responsible Jewellery Council, CIBJO – the World Jewellery Confederation, and Confindustria Federorafi. The seminar in Vicenza included a blue-ribbon panel presented by Corrado Facco, Managing Director of Fiera di Vicenza, and Gaetano Cavalieri, President of CIBJO. 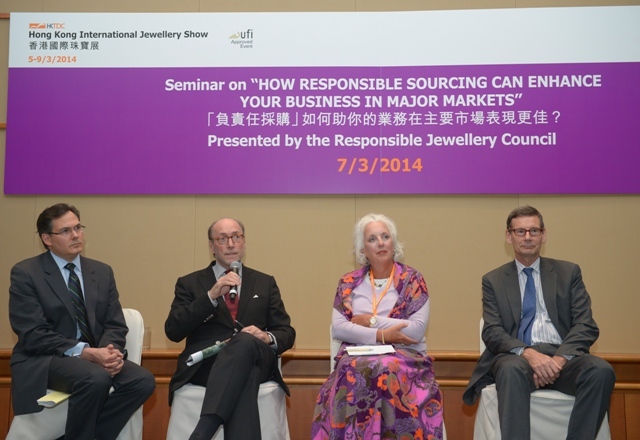 The panelists were Marieke van der Mijn, Standards Coordinator at the Responsible Jewellery Council; Michael Allchin, Chief Executive and Assay Master at the Birmingham Assay Office and the President of the CIBJO Precious Metals Commission; Philip Olden, who is responsible for managing the development and implementation of responsible sourcing protocols for gold at Signet, the world’s largest specialty jewellery retailer; Maria Benedetta Francesconi of the Italian Ministry of Economic Development, and a representative of Confindustria Federorafi. According to the conflict mineral rules contained in Section 1502 of the Dodd-Frank Act, publicly-traded companies in the United States, including major jewellery retailers, will for the first time, in 2014, have to file a report with the Security Exchange Commission, tracing their supply chain. Using a nationally or internationally recognized due diligence standard, companies will need to determine whether their supply chain includes gold sourced from the Democratic Republic of Congo and neighbouring countries. Another legislative proposal on conflict minerals is being developed in the European Union and is being led by the European Commission’s Directorate-General for Trade. It is expected to build on existing efforts and guidelines like the OECD Due Diligence Guidance and the U.S. conflict minerals legislation. It is forecast that a formal regulatory proposal will be brought for consideration before the college of EU commissioners early in 2014.